TriMet bus operator Rolynd Puckett has been awarded the distinction of Gold Master Operator as part of TriMet’s Master Operator Program. Puckett, age 62, has been a TriMet bus operator for 38 years. He is second in seniority; only one other current operator has been at TriMet longer. TriMet’s Master Operator Program recognizes bus and rail operators who achieve overall excellence in their duties as professional drivers. Operators earn Superior Performance Awards (SPA) each time they go 1,960 hours of work without any preventable accidents, warnings, reprimands or suspensions. They also must have excellent records of attendance and customer service. To reach Master Operator status, a driver must accumulate ten SPA awards; for Grand Master level, an operator needs 20; and to achieve Gold Master ranking, he or she needs 30 SPA awards. Puckett has 30 SPAs meaning he has driven 58,800 stellar hours. To put that in perspective, that equals 6.7 years. 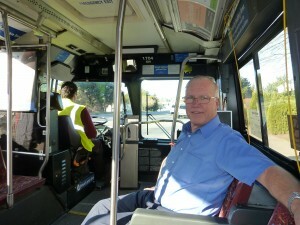 Puckett is one of only three operators at TriMet to receive the Gold Master Operator award. Willie Jack became the first driver in the history of the agency to reach this level of excellence, which he did in April 2012. Larry Williams followed in September. For 11 years, Puckett was a “consistent qualifier,” which means that every month of a given year he qualified to be on the ballot for TriMet Bus Operator of the Month. Puckett also has logged 13 years of perfect attendance, 11 of which were consecutive — no small feat. In addition to his Gold Master status, Puckett has accrued 33 years of Safe Driving Awards and is an esteemed member of the Accident Review Board, lending his years of expertise to this committee. In April of 2010 he joined the Million Mile Club, a club for operators who have driven a million miles safely. It takes at least 30 years to reach this milestone, and operators must earn a National Safety Council Safe Driver Award each of those years. Additionally, in 2011, he was awarded Bus Operator of the Year. 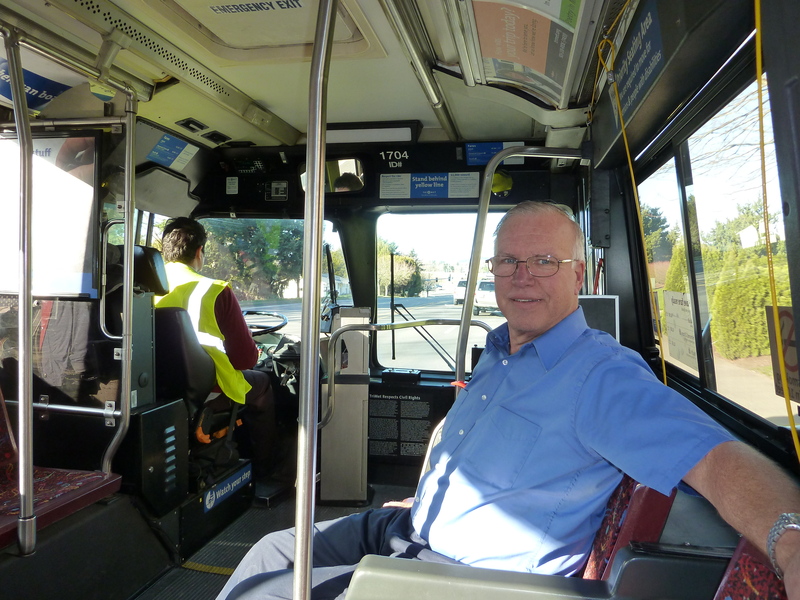 Puckett has driven countless routes and currently drives the first Line 67-Bethany/158th Ave bus of the day from Merlo Rd/SW 158th Avenue to Portland Community College/Rock Creek Campus. He drives out of TriMet’s Merlo Road Operations Center in Beaverton because it’s close to his home, where he has lived for 37 years. Puckett and his wife of 42 years, Penny, enjoy camping, fishing and clamming together. He’s also involved in activities at his church, including participating in a choir that visits retirement homes and care facilities to entertain residents. He joined TriMet right after his service in the Navy. As a reminder: Bus Driver Appreciation Day is coming up. Mark your calendars for March 18,2013 to celebrate and honor all TriMet operators.